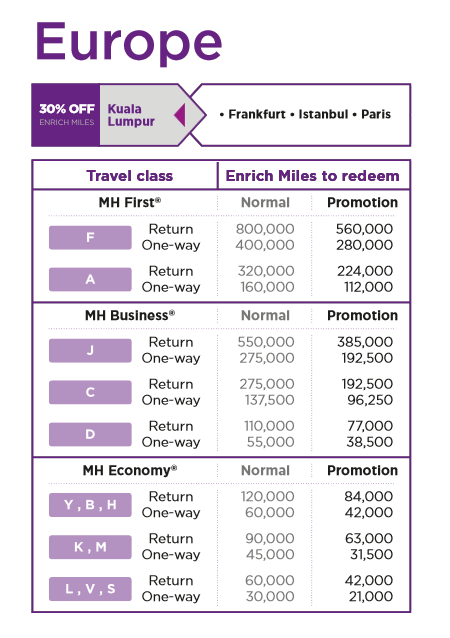 HomeTravel NewsMalaysia Airlines Best Enrich Redemption 50% off! 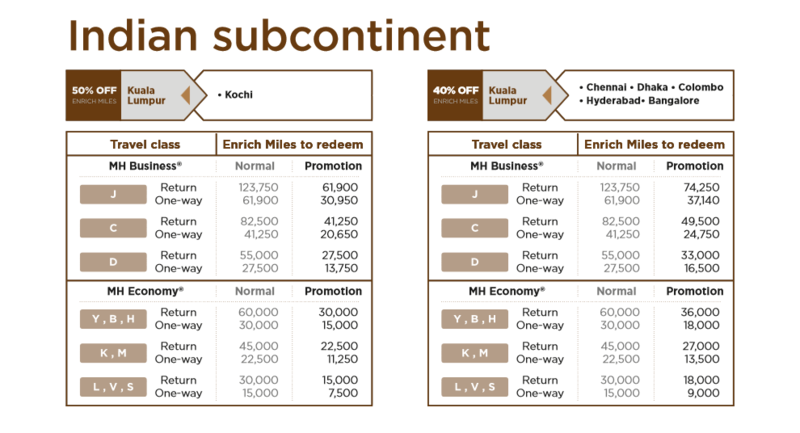 Malaysia Airlines Best Enrich Redemption 50% off! 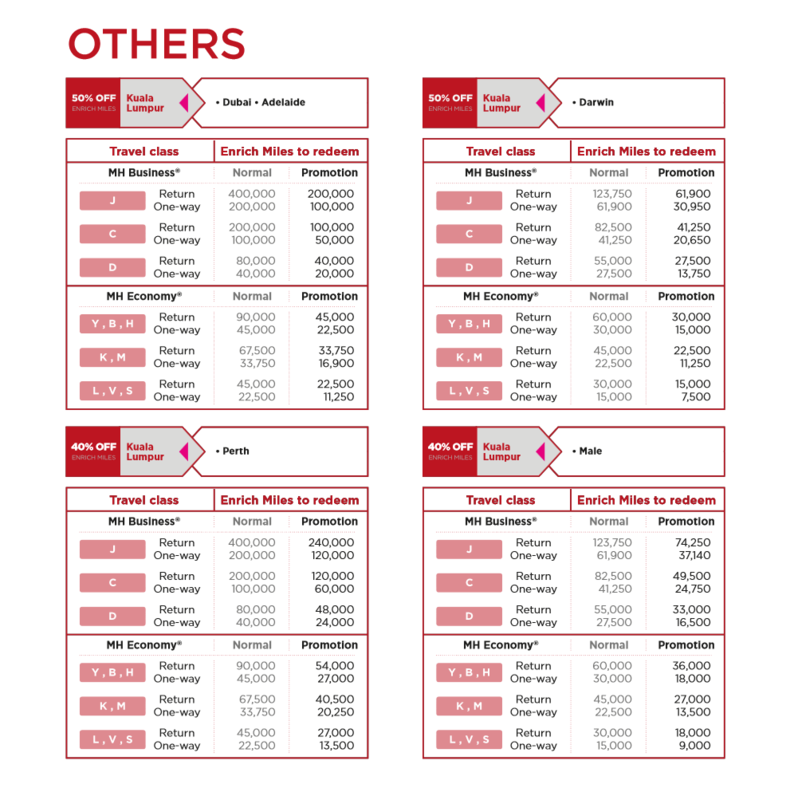 If you have loads of Enrich Miles sitting idle, this is a good opportunity to redeem year end flights. My recommendation is to redeem Business Class seats as you dont save a lot redeeming Economy. When is the next 50% MAS enrich redemption? As it turns out, the next Enrich point discount was from the period of Feb16 through Mar 15. 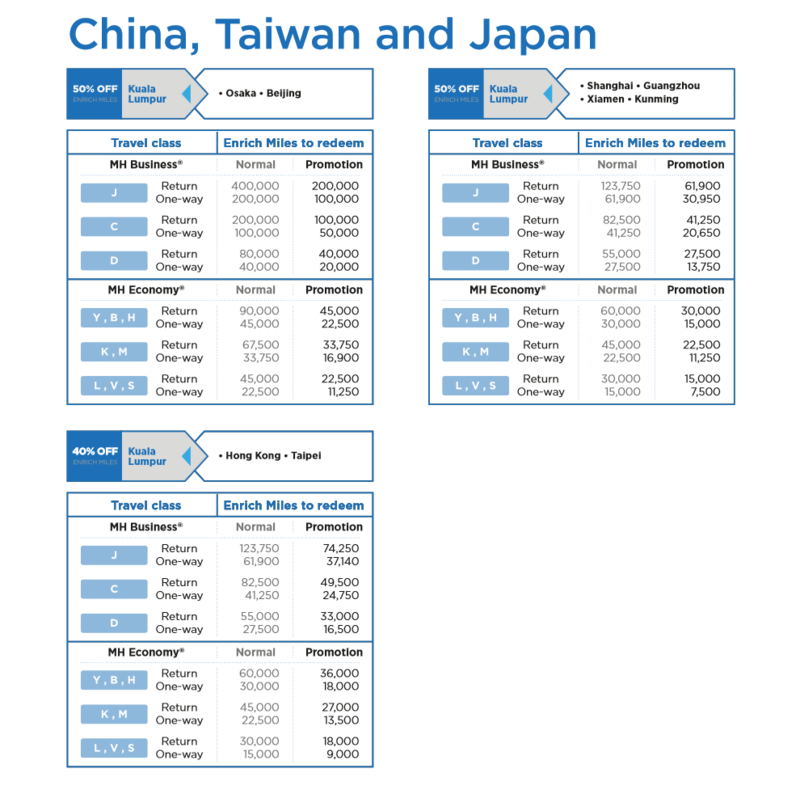 But that was after MAS increase their redemption by a hefty amount for long haul flights. Only Zone 1 (less than 500 miles) was reduced. Don’t waste your precious points redeeming short haul flights. 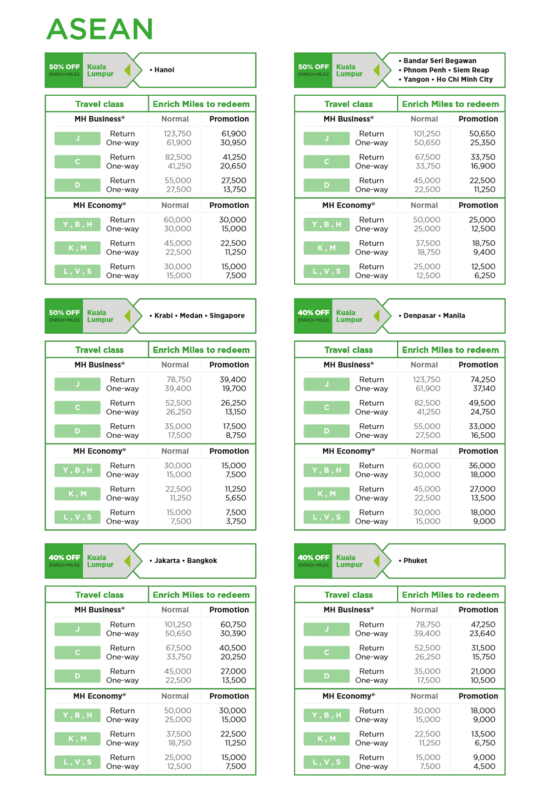 Save it up for long haul business class if you can or use it for upgrading. Sometimes the service charge and taxes for short haul economy redemption is actually higher than a heavily discounted economy ticket, which makes redemption pointless.